I am in love with the place. 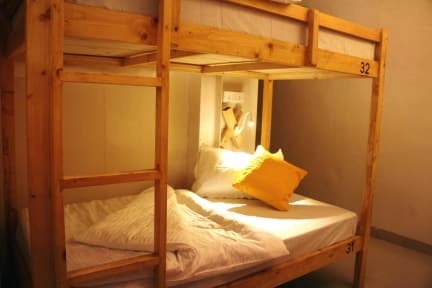 Excellence hostel, super recommendable. El staff fue súper amable, sobretodo Ashu. Todo el tiempo se preocupaban por nosotros. El desayuno fue bueno, tuvimos también noche de cine y tardes de té. Cada habitación tiene su propio baño, así que solamente se comparte el baño con las personas del cuarto. La terraza es grande y muy bonita. Recomendable y buen precio. This place is happening and it's in one of the better areas of the city. The staff was really friendly and they put on free events that they invite everyone to. It also has a nice social area on top to chill out with a bit of a view. It's clean, the beds are comfy. And there's a pizza place right next door. What more do you want? Had a wonderful stay, great location in the heart of Bandra, many famous restaurants around. Staff is polite & helpful, beds are super comfortable and the room was very clean. 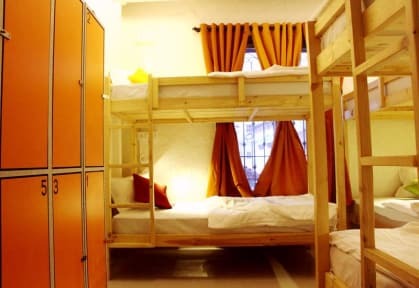 I will recommend it to all female travellers as their women only dorm room has an electronic password for safety The best feature of this hostel is their large rooftop where one can relax, chill and unwind with some catchy music. Breakfast is a decent mix of continental & Indian. They also hold nice events on weekends. Great staff, location in hip bandra, big rooftop. Made my time in Mumbai much better. Will come back! Perfect location ,Room and Toilet are clean , cafeteria is superb . This place is nice but definitely has some flaws. It is new so I think soon all the kinks should be gone. Security was good. The bathrooms are tiny and pretty gross. The rooftop common area is nice to chill out on but not much view. Staff are lovely oh and definitely have breakfast there! Doesn’t have much of an atmosphere considering it’s in the ‘party’ district of Mumbai, seemed like most people were just using as a base to go the airport.